In the 1950s, a Russian biologist named Dmitry Belyaev began a dangerous experiment in fox domestication. It was dangerous not because of the foxes, but because of the primacy in Russian science of Trofim Lysenko, an agronomist who rejected Mendelian genetics. Belyaev and his partner, Lyudmila Trut, persisted anyway, working with Russian commercial silver fox farms. Initially, they presented their work as an effort to increase the productivity of the fox farms. Many domesticated animals can breed more that once a year, and this could be a great boost to productivity. But in time, as Lysenko's grip on Soviet science faded, and as the first generations of their fox work began to show results, they were slowly able to come out of the shadow. Belyaev became director of the Institute of Cytology & Genetics, while Trut directly headed the silver fox project. She selected the calmest foxes, bred them and selected the calmest of the pups, and in just a few generations, they had calm, friendly, even affectionate foxes. These foxes also had curly tails, floppy ears, white patches, and shorter, rounder snouts. The domestication of the wolf is believed to have taken thousands of years. Under the controlled conditions of the fox farm that Belyaev and Trut created, Trut and her assistants produced domesticated foxes in just a decade or so. As they became more secure in their positions, and the work progressed, they also maintained unchanged control foxes, and foxes selected for aggressiveness. In the process, they learned an amazing amount about the process of domestication, that in turn teaches us about the process of the domestication of the wolf, cattle, and other animals, with insights into why some animals have been successfully domesticated and others, seemingly similar, haven't been. This is a fascinating story, about foxes, genetics, and science, and about the effects of politics on science. 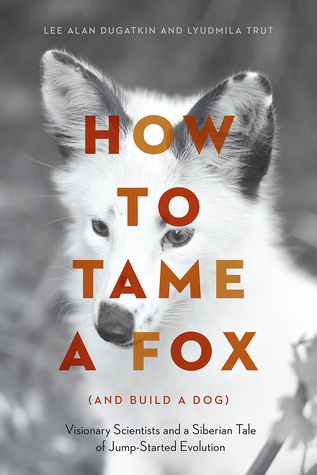 It also has both delightful stories of individual tame foxes, and pictures of incredibly cute tame foxes. This is a definite win. Highly recommended.